Every website should have an attractive landing page. The first impressions usually last the longest. These Landing Page Templates fulfill this condition beautifully. They have the six sections beautifully demarcated into attractive web pages. Easy to install, these themes come with excellent shortcodes enabling anyone to build web pages easily. Powered by Bootstrap, you would find every theme highly responsive. This allows easy viewing on all compatible devices. We shall discuss some of the most popular One Page Landing Page Templates. One of the best single page applications in the market, One Page Landing Page WordPress Theme for Leadpages comes with free updates. 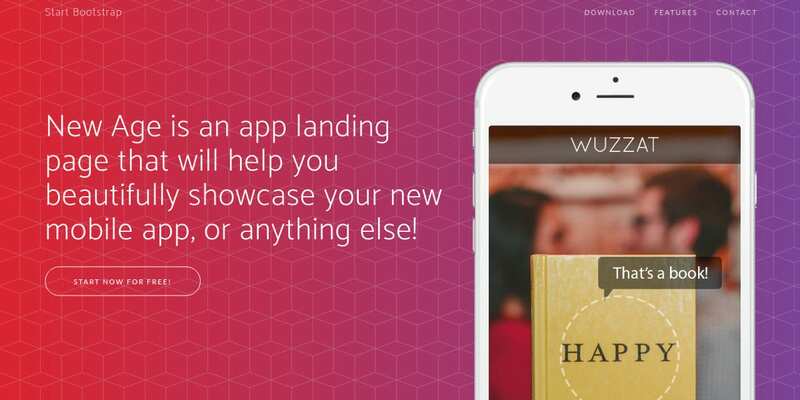 The best SEO practices support conversion centered landing page designs. You also have the support for Plugins like contact form 7, WooCommerce, and others. Easy to set up the template, you have the advantage of prebuilt layouts. The WP One Page Landing Page Scrolling Theme has nine sections with different options. This can make your presentations look better. Your workflow remains clean and easy with these theme settings. This is a well-documented theme with support for all activity. 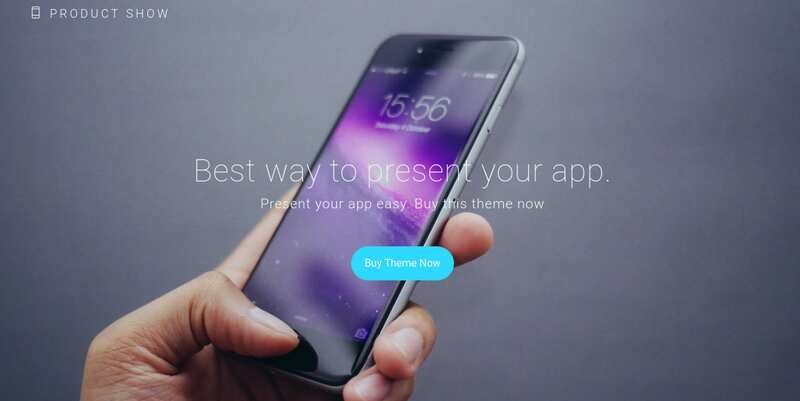 The biggest advantage of this theme is its flexibility. This is an outstanding one-page landing page WordPress theme for business enterprises looking for multiple apps template. It is suitable for startups and established business entities as well. You have six excellent layouts with many sections dedicated to various purposes such as the Main Slider, Screenshot, etc. The strong admin panel allows you to set up your own site with ease. Camyno might be the perfect One Page Landing Page WordPress Theme for page building options. You would be able to sell your products, create a blog, maintain a calendar, and impress others with your portfolio. Highly customizable, you can change colors using the Live Color Scheme Editor. You have access to innumerable header variations. Perfect for charitable organizations such as churches, this One Page Landing Page Theme for Nonprofit is a clean and minimalistic theme. Having great demand for political campaigns, this theme is a fast loading one. The Mailchimp newsletter integration is a new attraction for this theme. Powered by Bootstrap, this is a powerful theme in many ways. Perfectly suited for the design studios, creative teams, or agencies, this Business Agency One Page Landing Theme is a highly customizable one. You have access to the main sections like the Slider, modules, etc. This modern HTML5 theme is easy to install and use. Powered by Bootstrap 3.x, this is a strong theme. Best suited for the online businesses, this Business Agency One Page Landing Page WP Theme has an amazing design to display. Easy to install, this theme has a wonderful visual interface. The clean codes of the theme ensure that you build up the web pages with ease. The Online customization panel enables you to customize your website. Ideal for eBook sellers, this Premium One Page eBook Landing Theme is a fully optimized one in all respects. You can optimize each section for downloads, overview, and samples along with an Author Bio. The theme has three slider variations. You can customize the artwork with Photoshop smart objects in an easy way. Both novices and experts would love to use this Wolfram multipurpose One Page Landing Page Theme. The shortcodes allow you to set up the theme easily. 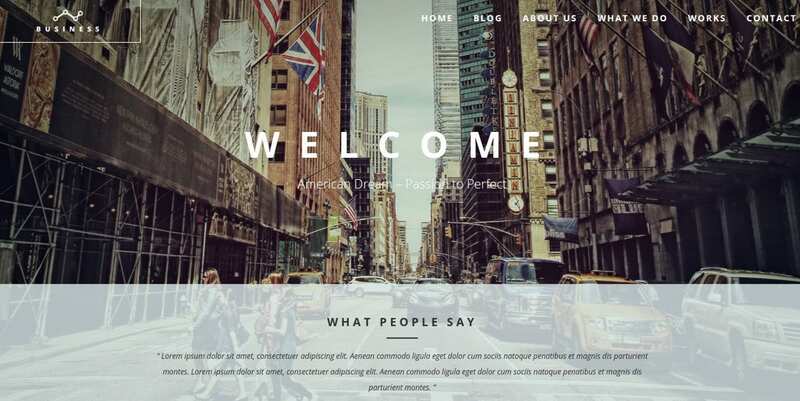 Built with Bootstrap, this theme has a user-friendly and responsive layout. Highly customizable, this theme comes with six layout options and two menu types. 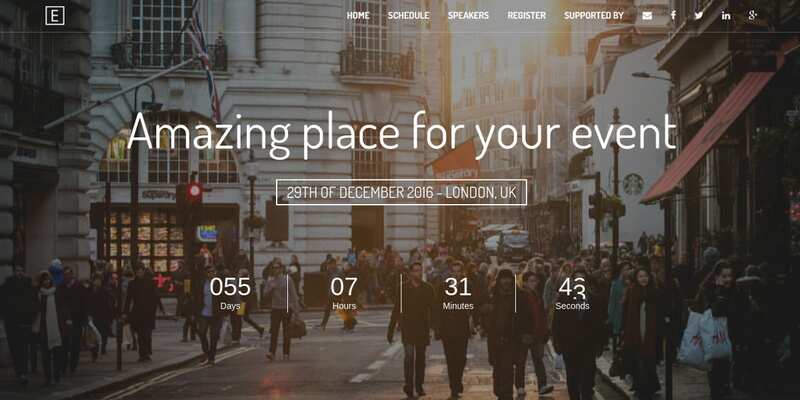 Robic, one of the best Hosting One Page WordPress Landing Page Themes, is a highly responsive one. Compatibility with the various browsers allows one to use the theme on all devices. Powered by Bootstrap 3.0, you have access to two layout styles. The video background completes the attractiveness quotient. 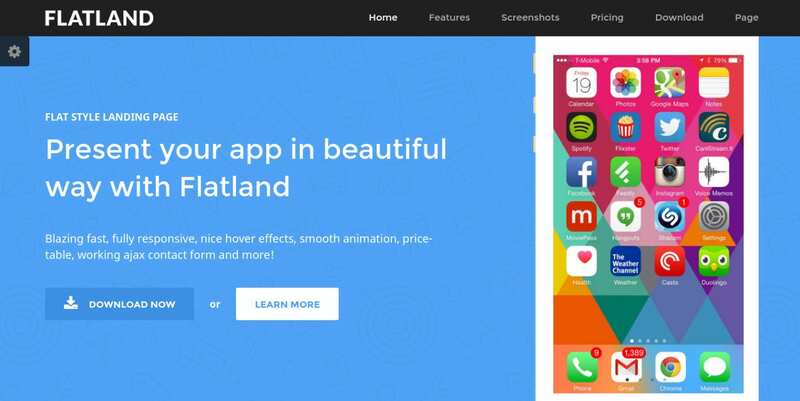 One of the most professional landing page designs, Flatland has a host of features. Powered by Bootstrap 3.3.6, the theme has a responsive design. Easy to install and use, this landing page has four custom header layouts and six custom colors. The clean template and codes allow you to build up your web pages easily. Ideal for startups to announce to the world, this fully responsive One Page Landing Page Theme comes with all the features required for such websites such as ‘About us’, ‘Contact’, etc. Powered by Bootstrap 3.0, this responsive design enables using the theme on all devices. You have the advantage of nicely coded and animated sections. Best suited for events, business gatherings, and conferences, this One Page Landing Page Theme has a minimalistic approach and the best responsive design practices. Powered by Bootstrap 3, the valid HTML5 and CSS3 codes allow for the easy building of web pages. The responsive design ensures easy usage in all kinds of devices. Ideal for the corporates and business agencies, this Responsive One Page Landing Page Theme is compatible with Bootstrap 3. The modern design ensures one-page navigation. You have the services of six sections including the Ajax Form Submit for contacting. The fully functioning PHP requires just the email address of the recipient. 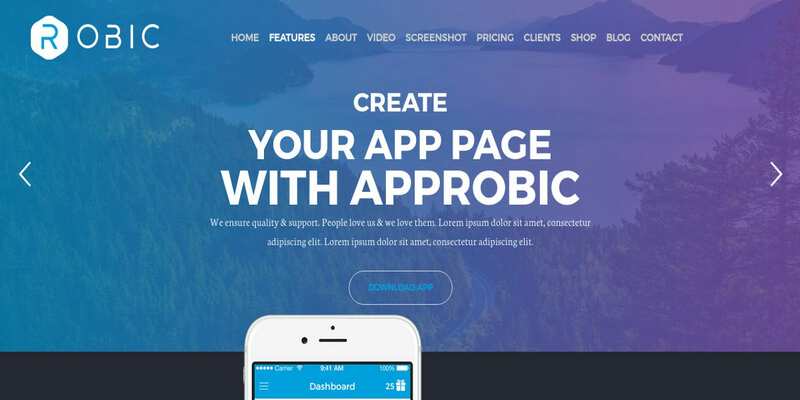 This beautiful One Page Landing Page Bootstrap Theme can display your mobile app or anything else for the matter. Powered by Bootstrap, this is a highly responsive design. Perfectly aligned for the mobile phone, this theme looks stunning in its bright colors. Easy to install, it is easy to use as well. The above Bootstrap Landing Page Templates have a responsive design in addition to being powerful. The responsive design ensures compatibility with all kinds of browsers. This makes using the theme easy on any kind of compatible device such as the smartphones, tablets, etc. Each of these WordPress Themes is clean, modern, and minimalistic in its approach.